Here at Warrnambool Mazda, we pride ourselves on providing quality New Mazda vehicles, Demo Mazda vehicles, Used Cars and Used Commercials Vehicles — locally or anywhere in Australia. We strive to continually provide top quality products and services that represent value for money. We have an accredited Mazda Finance department that can tailor financial packages to suit a wide range of needs and budgets. We also have a full range of insurance and warranty products, to offer our customers peace of mind into the future. Whatever your Mazda needs, the team at Warrnambool Mazda can help you! If you are interested in Partnering with Warrnambool Mazda please don’t hesitate to contact us to discuss your proposal. 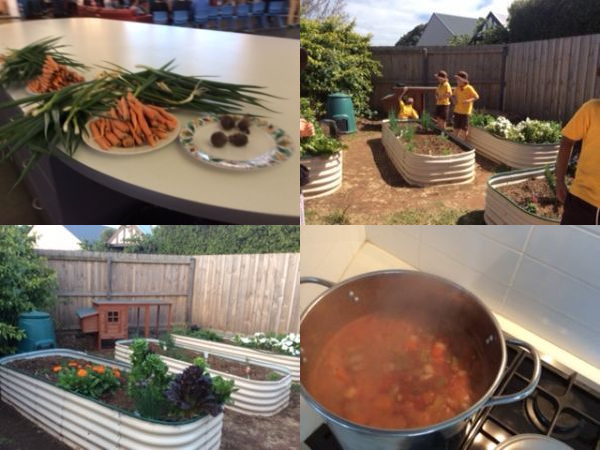 Warrnambool Primary School has received $1500 from the Warrnambool Mazda and Subaru Community project to set up their new Vegetable Garden Program. The children have been tending to all of the weeding and ensuring plants get enough water,planting and picking all sorts of vegetables and cooking with them. They are doing a wonderful job and learning so much about growing their own vegetables. 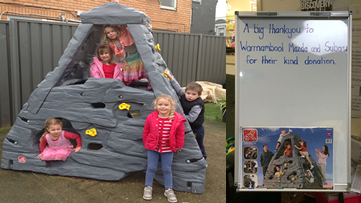 Florence Collins Children’s Service Complex has received $950 from the Warrnambool Mazda and Subaru Community project to purchase equipment for their outdoor play area….The children have been really enjoying the new equipment! 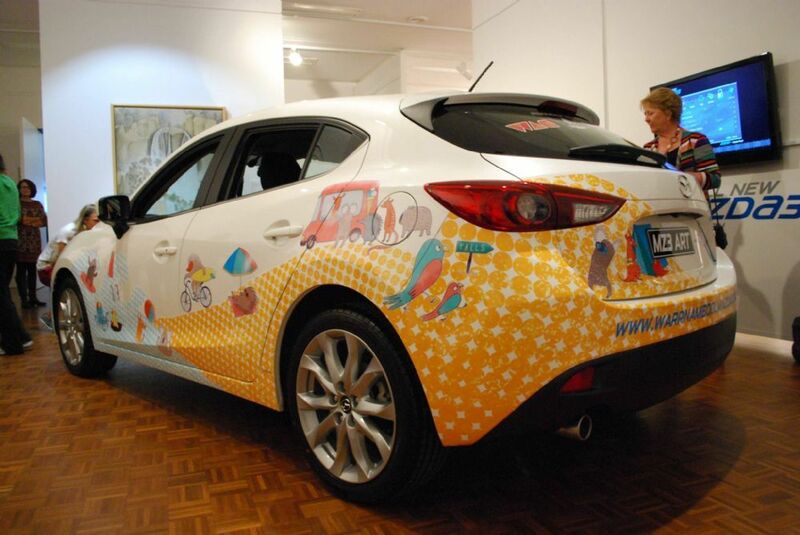 Art in Motion, an initiative of Warrnambool Mazda, the Warrnambool Art Gallery (WAG) and Cassign, saw a new Mazda 3 emblazoned with a design by Luka Va which portrays the wonderful attributes of Victoria’s Western District. The car is on display in the WAG until April 27 after which it will hit the road to help promote south-west Victoria. The Art in Motion competition attracted 29 entries with over 5,000 views of the prospective designs on the Warrnambool Mazda Facebook page. 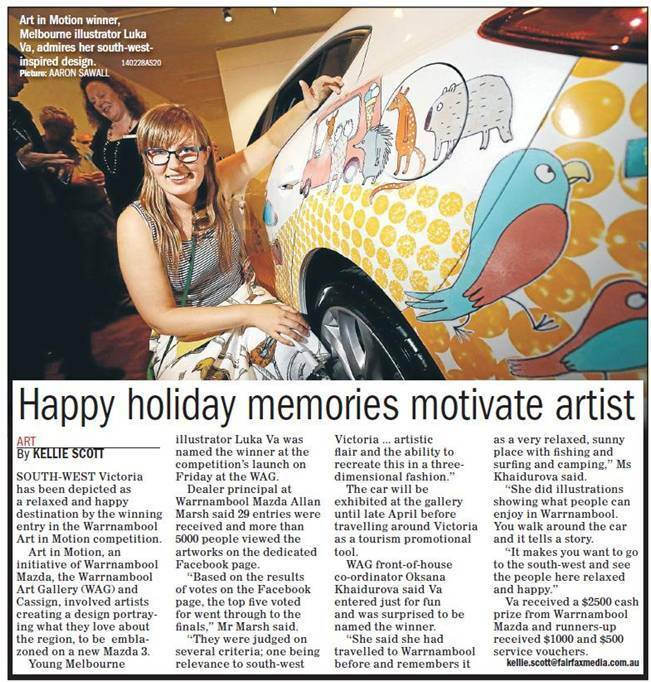 The winning artist received a $2500 prize from Warrnambool Mazda, while the runners-up received $1000 and $500 service vouchers. The song featured is “Oh Oh Oh” by Lorenzo’s Music and is available under a Creative Commons licence.